A Virtual Private Network has many tasks to accomplish. First of all, it should provide you with confidentiality, i.e. to provide you with privacy by encrypting your internet traffic over a public network. All the information you send or receive online should be protected and secured. And a good VPN provider should not store any logs of what you do. No third parties should have the access to your personal data. Also, a VPN should provide you with unlimited bandwidth, fast speeds and unlimited server switching. Moreover, the VPN service should be compatible with most of your devices, so it needs to be supported by different operating systems. In addition, it should offer you the stable and reliable performance of its remote servers. Of course VPN providers have many other goals to achieve. VPNs use numerous tunneling protocols to offer its users helpful features including the ones mentioned above. Here are the basic protocols: OpenVPN, PPTP, L2TP/IPsec. OpenVPN is an open-source protocol, and usually it is the recommended protocol. It is mainly used for creating 2 types of connections, namely Site-to-Site and Point-to-Point. 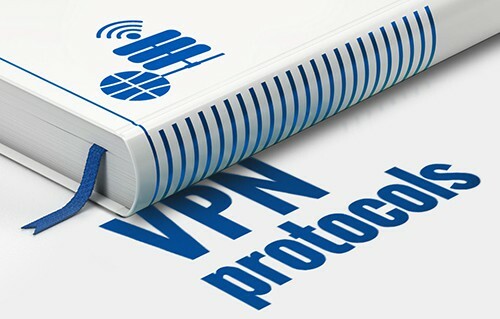 OpenVPN runs a security protocol that is based on OpenSSL library for creating an encrypted, protected and authenticated connection to the public network – the internet. That’s why, it has various cryptographic algorithms to offer to guarantee your online security. So, with OpenVPN you can expect the highest level of encryption. It is supported by most mobile devices and desktop operating systems. And as to the speeds, this one is actually one of the best protocols. It shows high performance by offering fast speeds across great distances. But generally, it offers better speeds by being used via UDP, rather than via TCP. All in all, you have a stable and configurable VPN protocol that, on top of everything, also helps you to bypass firewalls or some network or ISP restrictions. However, to set up OpenVPN may be less easy than other security protocols. PPTP is a basic VPN protocol which was one of the first protocols supported by Windows. And it is a commonly used VPN protocol that creates a private tunnel for data exchanging. One should note, that PPTP on its own doesn’t guarantee encryption or other security measures. Moreover, PPTP connections can be easily blocked by ISPs. This is why it is considered as a vulnerable VPN protocol with relatively unstable connections. On the other hand, PPTP provides good speeds. Also it is available for many devices. And it is the easiest among others protocols to set up and to configure. So, it is a simple user-friendly protocol that may be a good option if, for instance, you can’t connect to OpenVPN. L2TP is a tunneling protocol that uses IPsec to provide confidentiality and encryption with 256-bit keys. It works via User Datagram Protocol (UDP). L2TP/IPsec is supported by Windows, iOS, Android, Mac OS X, Linux, DD-WRT and others. So, basically it is available for most operating systems and devices. One of the downsides: it doesn’t offer fast speeds because it requires more CPU processing because of additional encapsulating of data. In general, you have a stable and reliable VPN protocol. Despite lower speeds, L2TP over IPsec offers strong authentication and high encryption. Moreover, it has the ability to bypass network restrictions.